The premiere of our new feature, The Music Row Showcase. Our goal is to shine the spotlight on the best of Music City’s unsung and up-and-coming songwriters. 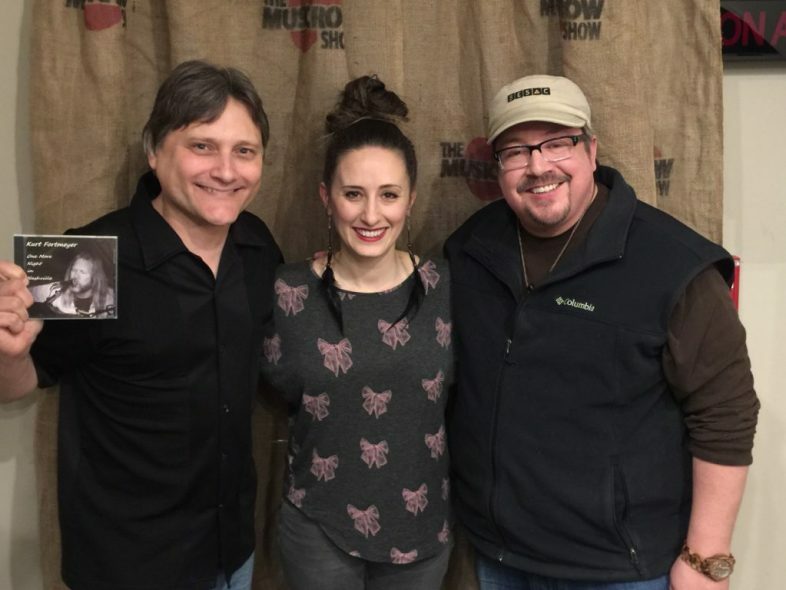 Normally our show focuses on hit writers, producers, publishers and other successful people on Music Row, but we decided to showcase some of the best this town has to offer who may not have hit the big time yet… yet. So, once a month, hosts Scott and Heino will each pick two of their favorite songwriters and singer/songwriters whom they’ve heard play around town, and bring them into the studio to share their talents with you. This hour we feature Kurt Fortmeyer and Roxie Randle.